e-con Systems Inc., a leading camera solutions company, today launched Conversa (See3CAM_CU38) - 3.4MP Custom Lens fixed focus USB 3.1 Gen 1 camera with built-in stereo microphone providing 16bit audio @48KHz. Conversa is provided with a S-mount (M12) lens holder that enables customers to choose a lens of their choice. It streams FHD (1920 x 1080) at 60 fps and HD (1280 x 720) at 60 fps in both Uncompressed UYVY and Compressed MJPEG formats. For more information please visit 3.4MP Custom Lens USB 3.0 camera with built-in Microphone. Customers interested in evaluating the Hyperyon can order samples from e-con Systems" Online Store. 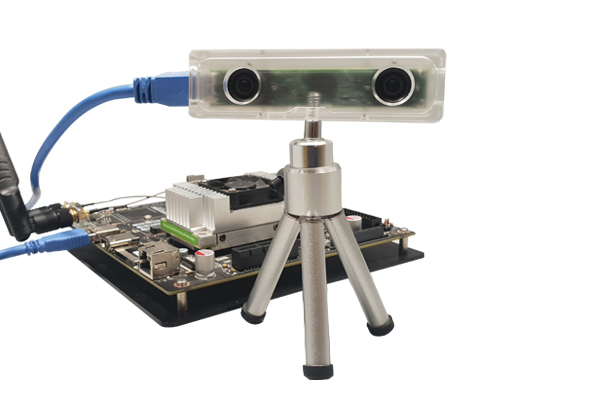 e-con Systems Inc., a leading embedded camera solution company, today launched STEEReoCAM, a MIPI CSI-2 interface version stereo vision camera for NVIDIA Jetson. STEEReoCAM is a 3D stereo camera with a 2MP global shutter monochrome CMOS image sensor from OmniVision with MIPI interface support. It is powered by a proprietary CUDA-accelerated stereo camera SDK, TaraXL, for NVIDIA Jetson processors. STEEReoCAM supports (2*(1600 x 1300)) resolution at 30 fps. 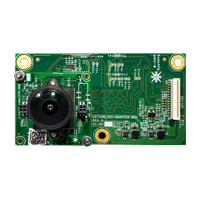 For more information please visit 2MP Stereo Camera for NVIDIA Jetson Xavier/TX2. Customers interested in evaluating the Hyperyon can order samples from e-con Systems" Online Store. H.264/MJPEG compression; Sony STARVIS® image sensor; Hyperyon has outstanding low-light performance and low noise, 3D noise filtering and HDR with Socionext Image Signal Processor (ISP). It streams Full HD at 30 fps and 60fps over USB. e-con Systems Inc., a leading embedded camera solutions company, today announced the launch of Hyperyon (Ordering part code: e-CAM22_USB), the 2 MP Ultra low light HDR USB UVC camera with built-in H.264/MJPEG compression based on SONY STARVIS® series 1/2.8" IMX290 CMOS image sensor. Hyperyon has excellent low light performance, can work in nearly no-light conditions and very good Wide Dynamic Range (WDR) using 3DOL which is ideal for challenging lighting environments in both indoor and outdoor. For more information please visit 2MP SONY IMX290 Ultra-lowlight USB camera. Customers interested in evaluating the Hyperyon can order samples from e-con Systems" Online Store. 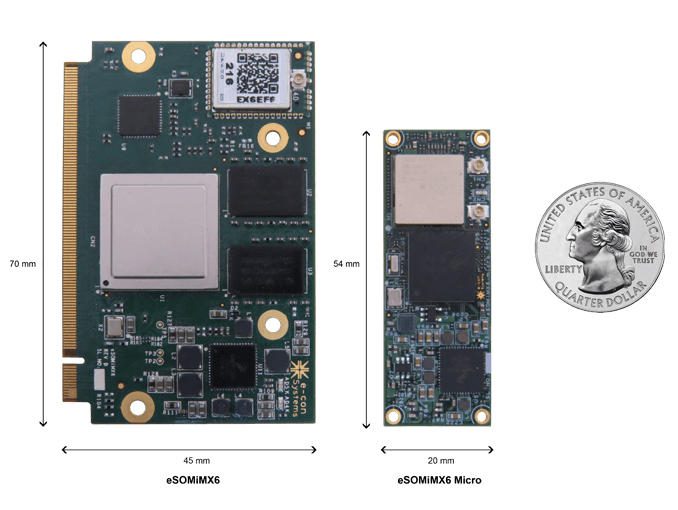 After the successful launches of NVIDIA® TX1/TX2 cameras, e-con Systems (The NVIDIA's official preferred partner for Jetson platforms) has launched the four Synchronized 4K MIPI CSI-2 Cameras for NVIDIA® AGX Xavier. 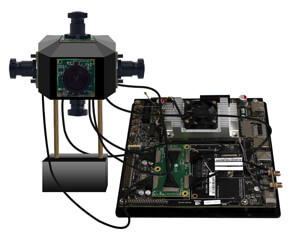 e-con Systems Inc., a leading embedded camera solution company, today announced the launch of e-CAM130_CUXVR, Multiple 4K camera support for NVIDIA® Jetson AGX Xavier Developer kit. 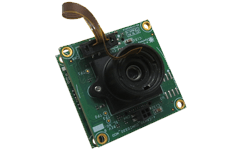 e-CAM130_CUXVR is Mutli-camera solution that has upto four e-CAM137_CUMI1335_MOD, based on 1/3.2 inch AR1335 CMOS image sensor from ON Semiconductor. 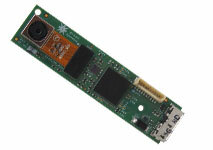 For more information please visit Multiple Camera Board for Jetson AGX Xavier. 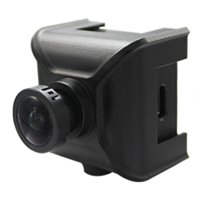 The e-CAM130_CUXVR is currently available for evaluation. Customers interested in evaluating the e-CAM130_CUXVR can order samples from e-con Systems" Online Store. e-con Systems Inc., a leading camera solutions company, today announced the launch of See3CAM_CU55, a 5MP Low Noise USB3.1 Gen1 Camera. See3CAM_CU55 is based on the 1/2.5-inch AR0521, an 2.2m pixel BSI CMOS image sensor from OnSemi™. The See3CAM_CU55 is provided with the S-mount (M12) lens holder that enables customers to choose a lens of their choice. This See3CAM_CU55 streams FULL HD (1920 x 1080) at 60fps and HD (1280 x 720) at 60fps in both uncompressed (UYVY) and compressed MJPEG formats. e-con Systems launched the AR0330 (3.4MP) based Fixed Focus camera couple of years before. This camera has exactly same pixel size but comes with 5MP and higher Signal to Noise Ratio (SNR) 40 dbm. So, it will be much better in Low Light with Lesser Noise. For more information please visit 5MP Low Noise USB Camera. The See3CAM_CU55 is currently available for evaluation. Customers interested in evaluating the See3CAM_CU55 can order samples from e-con Systems" Online Store. 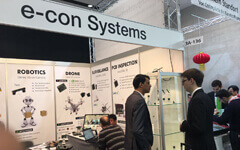 e-con Systems exhibited in the VISION 2018, Stuttgart, Germany during November 06 to 08, 2018. The show was a great success for e-con Systems. we had more visitors with interesting requirement for our camera products. We would like to thank all visitors for visiting our booth! We look forward for another successful show in the upcoming events with lot more innovative products. We are delighted to announce the launch of 13MP Autofocus 4-lane MIPI camera board for NVIDIA jetson TX2 and NXP i.MX6 development boards. This camera is based on 1/3.2" AR1335 CMOS image sensor with advanced 1.1µm pixel BSI technology from ON Semiconductor® and an integrated high-performance image signal processor (ISP) that performs all the Auto functions (Auto White Balance, Auto Exposure control). Customers willing to evaluate the e-CAM132_TX2, can evaluate using the EVM, ACC-iMX6-MI1335CAM - e-CAM132_TX2 13MP MIPI Camera for NVIDIA TX2 development kit from e-con Systems' Webstore. 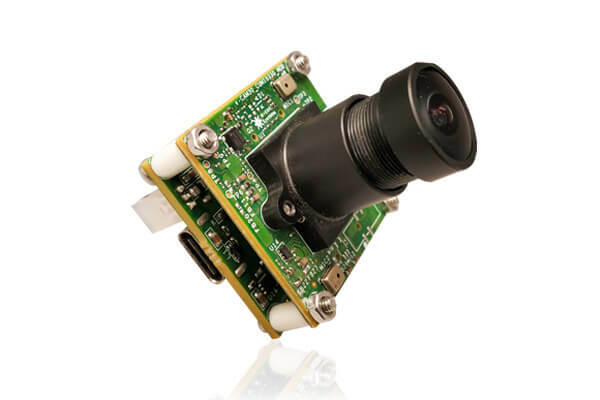 TaraXL - USB 3.0 Stereo vision camera based on OnSemi MT9V024 Global Shutter CMOS sensor; this Stereo camera with a proprietary CUDA accelerated Stereo SDK called TaraXL SDK that runs on the NVIDIA TX2 GPU provides depth mapping at 50 fps. ST. LOUIS and CHENNAI, India - Augut 30, 2018 - e-con Systems Inc., NVIDIA's Preferred Partner, a leading embedded camera solution company, today announced the launch of TaraXL, a USB 3.0 Stereo vision camera. 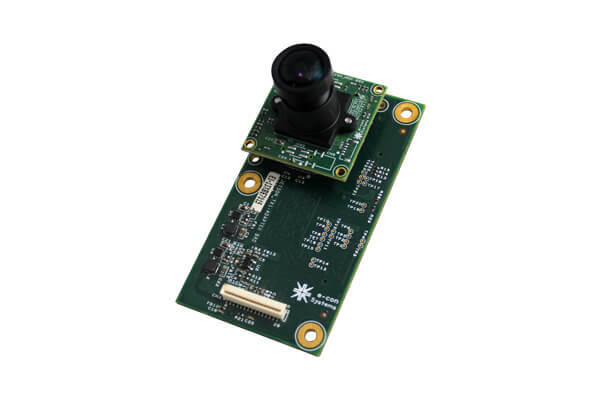 TaraXL is based on the 1/3-inch MT9V024, a WVGA Global shutter monochrome CMOS image sensor from OnSemi™ powered by proprietary CUDA accelerated stereo camera SDK for NVIDIA Tegra processors. This Stereo vision camera provides synchronized sensor frames to the host machine over USB 3.0 interface. For more information, please visit TaraXL - Stereo vision USB 3.0 camera. Also watch TaraXL SDK demo video at https://www.youtube.com/watch?v=TPxM_0O09RY&feature=youtu.be. 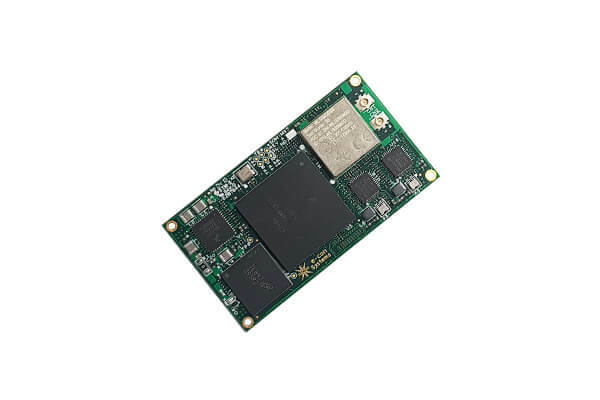 eSOMiMX6PLUS is a ready to use System-On-Module using Quad Plus or Dual Plus ARM Cortex™ A9 Processor running up-to speeds of 1.2GHz. This System-On-Module encompasses eMMC Flash whose capacity ranges from 4GB to 64GB and 64-bit DDR3 with capacity as low as 256MB to as high as 4GBytes. e-con's i.MX6 System-on-Module is available with Linux and Android BSP. Customers willing to evaluate the eSOMiMX6Plus, can evaluate using the EVM, AnkaaPLUS - eSOMiMX6Plus development kit from e-con Systems' Webstore. NileCAM - a new camera series with Gigabit Multimedia Serial Link (GMSL) Serializer and Deserializers (SerDes) technology. The NileCAM series cameras are cameras which can be used for longer distance. These cameras can be placed 15 meters away from host processor through coaxial cable and still to support less latency and high frame rate. e-con Systems Inc., a leading embedded camera solution company, today announced the launch of NileCAM30 - Full HD GMSL camera. It is a based on 1/3-inch AR0330, a 3.4 MP CMOS image sensor from ON Semiconductor®. The initial launch is going to be with both USB interface and MIPI interface (NVIDIA Jetson TX1/TX2). NileCAM30 can stream uncompressed Full HD(1080p) @ 45fps, which is considered as the world's fastest GMSL Camera as of now. Customer looking to evaluate using USB can purchase NileCAM30_USB. 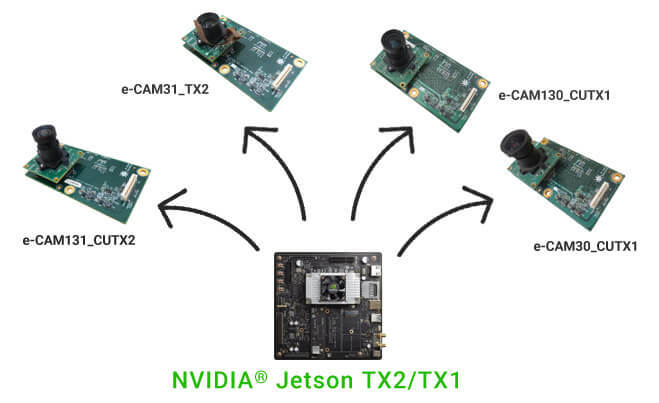 For NVIDIA Jetson TX1/TX2 customer can purchase NileCAM30_TX2. For more information please visit www.e-consystems.com/gmsl-camera.asp. e-con Systems announces the launch of Box camera - See3CAM_CU30_CHL_TC_BX. This is based on our hugely popular low light camera e-CAM30_CUMI0330_MOD. This 3.4 MP USB3.1 Gen1 camera comes with an aluminium enclosure which ensures the safety even at the most challenging conditions. It is fully compliance with CE and FCC. These new additions to our flagship camera convinced Xilinx to include it in their reVision™ Stack. 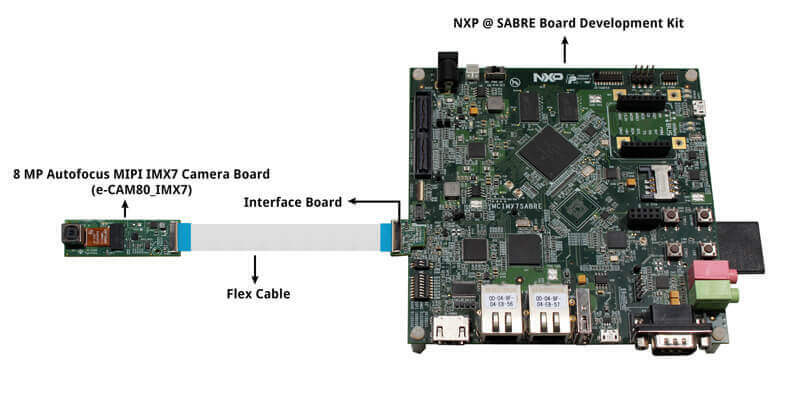 This Box camera is now part of Xilinx Zynq UltraScale+ MPSoC ZCU104 Evaluation Kit. For more information please visit www.e-consystems.com/ar0330-lowlight-usb-cameraboard.asp. e-con Systems Inc., NVIDIA's Preferred Partner, a leading embedded camera solution company specializing in the development of advanced camera solutions announces the launch of the much awaited e-CAM130_TRICUTX2 - Multiple 4K camera solution for NVIDIA® Jetson Tegra X1/X2 development kit. Following the great response to the Six Camera (Six Synchronized Full HD Camera), e-con Systems has geared-up to release yet another landmark product for NVIDIA TX1/TX2, TRI Camera (Three Synchronized 4K MIPI CSI-2 Camera System). For more information please visit Multiple 4K camera solution for NVIDIA® Jetson Tegra X1/X2. e-con Systems announces the launch of eSOMiMX7 System on Module. The eSOMiMX7 is based on NXP/Freescale i.MX7 processor. eSOMiMX7 is a ready to use System-On-Module using Solo / Dual core ARM® Cortex™ A7 @ 1GHz along with dedicated real time ARM® Cortex™ - M4 MCU. It encompasses eMMC Flash whose capacity ranges from 4GB to 64GB, LPDDR3 with capacity as high as 2GB. eSOMiMX7 is a small form factor module providing all possible connecting options for Industrial and commercial products. eSOMiMX7 is an ultra-low power system on module which consumes only 3mA current during the deep sleep mode. eSOMiMX7 System-On-Module is available with latest Linux Kernel version v4.9.11, latest Yocto rootfs version 2.2 and Free RTOS version 8. Customers willing to evaluate the eSOMiMX7, can evaluate using the EVM, Acacia - eSOMiMX7 development kit from e-con Systems' Webstore. e-con Systems announces the End of Life notification (EOL) for Capella, a Stereo Vision Camera Reference Design from e-con Systems. 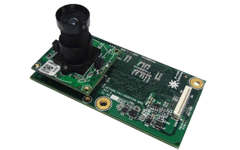 Capella is the world's first embedded pixel synchronous Stereo Vision Camera Reference Design for Texas Instruments' (TI) OMAP35x and AM/DM37x processor on Gumstix® Overo® COMs. As such, all orders will be filled on a first-come, first-served basis until the discontinued raw material inventory is depleted and cannot be sourced. After that time, no orders can be accepted even if this occurs before the last buy date. The last buy date for these products will be 31st May 2018.
e-con Systems exhibited in the AIA VISION SHOW 2018, Boston held at Hynes convention centre during April 10 to 12, 2018 for the first time. The show was a great success for e-con Systems. we had more visitors with interesting requirement for our camera products. 3.4 MP GMSL Camera over - Extend your camera upto 15mtrs! 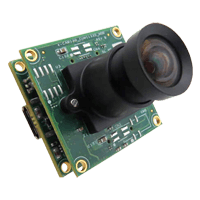 e-con Systems Inc., NVIDIA's Preferred Partner, a leading embedded camera solution company, announced the launch of e-CAM20_CU0230_MOD a 2MP high performance, Automotive grade temperature HDR Camera Module with excellent low light performance. It is based on AR0230AT CMOS Image sensor from ON Semiconductor®. It has an ability to stream seamlessly at wide temperature range (-40 to 105°C) which is suitable for Automotive application. Previously we have launched See3CAM_CU20 - USB version of this camera module, which was a massive hit and we have been receiving lot of enquiries from our customers requesting for MIPI/Parallel interface. Today, we have provided the MIPI/Parallel support for this AR0230AT based e-CAM20_CU0230_MOD camera module. Customer interested in evaluating e-CAM20_CU0230_MOD camera module can purchase any of the below evaluation kit according their requirement. 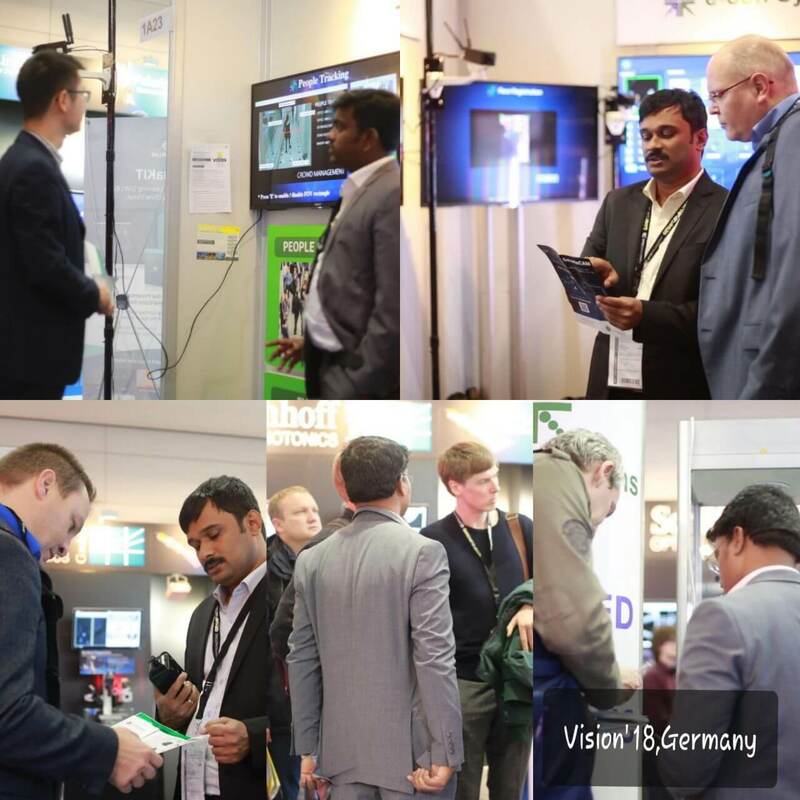 We exhibited at embedded world 2018, the leading exhibition for the international embedded community held at Nuremberg, Germany on Feb 27 - Mar 01 2018. 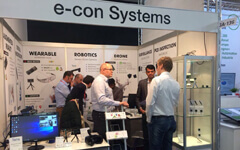 It was a great success for e-con Systems again in 2018, with lot of interested visitors to our booth. Most of them said they would take part again in 2019. During the show our experts had demonstrated some of latest products and few upcoming products. There was considerable excitement with our latest SONY IMX290 STARVIS Camera and the 360 degree ultra HD camera. We would like to thank all visitors for visiting our booth! We look forward to get the same in the next year embedded systems conference with lot of innovative products. ST. LOUIS, USA and CHENNAI, India – Jan 24, 2018, e-con Systems Inc., a leading imaging solutions company and NVIDIA® Preferred Partner announces the launch of the much-awaited SONY STARVIS® series IMX290 CMOS Sensor based MIPI CSI-2 camera module for NVIDIA® Jetson TX2 developer kit - e-CAM21_CUTX2 . The STARVIS® is back-illuminated pixel technology used in Sony CMOS image sensors for Smart Surveillance camera applications. Its excellent low-light sensitivity realizes high picture quality in the visible-light and near infrared light regions. e-CAM21_CUTX2 produces outstanding visibility under the starlight. 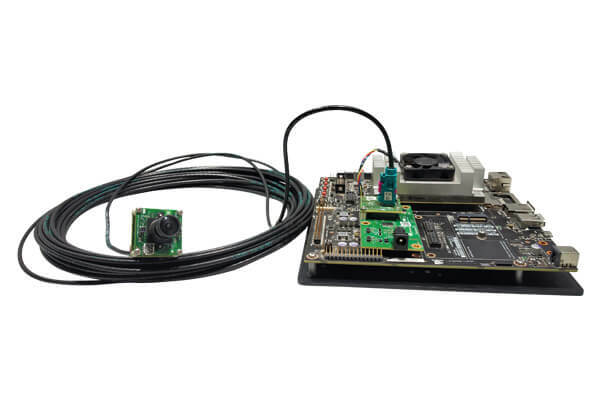 Customers interested in evaluating the e-CAM21_CUTX2 with on NVIDIA® Jetson TX2 developer kit can order samples from e-con Systems' online store. 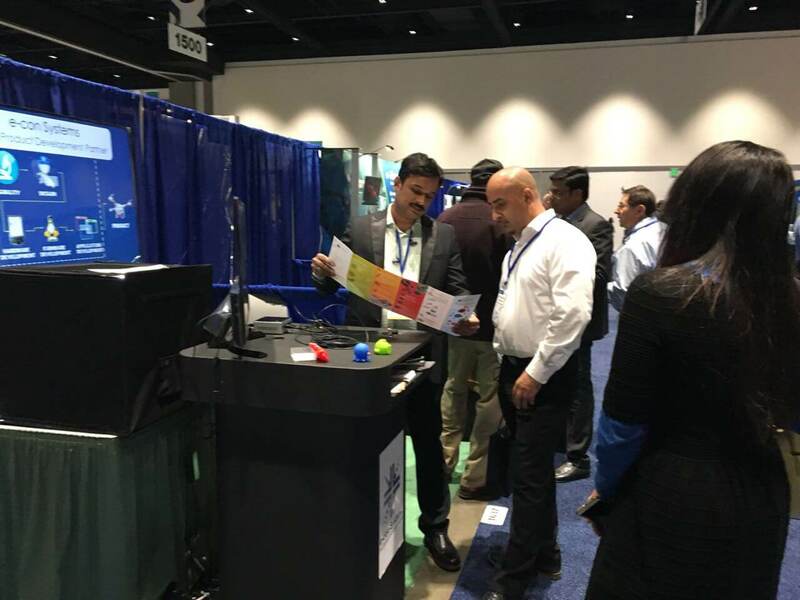 We had a great show at Embedded Systems Conference (ESC) Silicon Valley 2017, San Jose, CA held at the San Jose Convention Center on December 6-7, 2017. The show was a great success for e-con Systems, We had a lot of interested visitors to our booth. During the show our experts had demonstrated some of latest products and few upcoming products. e-con Systems today launched their Over-the-Air (OTA) Firmware Upgrade Solution for embedded devices - eSOMgears. This is a reliable and secure cloud based product that makes updating the firmware of devices that are already out in the field, easy. e-con Systems is very happy to announce that eSOMiMX6 SOM now supports 4GB DDR3L RAM and eSOMiMX6-micro supports 2GB LPDDR2 RAM. This memory upgrade will help customers who are building high end graphics and video streaming applications. St. Louis, USA and Chennai, India - Oct 05, 2017, e-con Systems Inc., Cypress Design Partner, a leading embedded camera company specializing in the development of advanced camera solutions announces the launch of Tania, industry's fastest USB3.1 Gen1(5Gb/Sec) UVC reference design kit with dual camera, along with the Cypress® Semiconductor Corp and Socionext Inc.
Tania is an easy to use, single-board plug and play USB3.1 Gen1(5Gb/Sec) UVC reference design kit packed with a powerful combination of SuperSpeed Cypress's EZ-USB® CX3™ USB3.1 Gen1 camera controller, advanced high-performance Socionext's Milbeaut® MBG967 ISP (image signal processor) and Sony's dual (21MP rear e-CAM210_MI230_MOD and 13MP front e-CAM130_MI258_MOD ) color autofocus camera modules based on Sony's IMX230 and IMX258 image sensors respectively. Tania is currently available for evaluation. Customers interested in evaluating the Cypress® CX3™ Socionext ISP RDK can order samples from e-con Systems' online store. 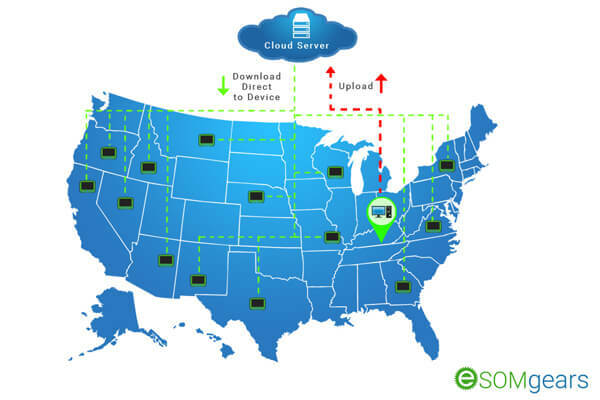 September 25, 2017 – e-con Systems announces the End of Life notification for See3CAM_30Z10X. e-con Systems announces the End of Life notification (EOL) for See3CAM_30Z10X, is a 3 MP Autofocus USB Camera with Optical Zoom from e-con Systems. This See3CAM_30Z10X USB Zoom Camera is UVC-compliant SuperSpeed USB 3.0 Camera and does not require any special camera. As such, all orders will be filled on a first-come, first-served basis until the discontinued raw material inventory is depleted and cannot be sourced. After that time, no orders can be accepted even if this occurs before the last buy date. The last buy date for these products will be 25th Oct 2017.
e-con Systems Inc., a leading embedded camera solution company, today announced the launch of See3CAM_CU20, HDR USB 3.0 Camera with Ultra-Lowlight Sensitivity. See3CAM_CU20 is based on the 1/2.7-inch AR0230AT, a CMOS image sensor from OnSemiconductor™. The See3CAM_CU20 is provided with the S-mount (M12) lens holder that enables customers to choose a lens of their choice. The See3CAM_CU20 streams Full HD (1920 x 1080) at 30fps and HD (1280 x 720) @ 30fps over USB 3.0 in compressed UYVY format. 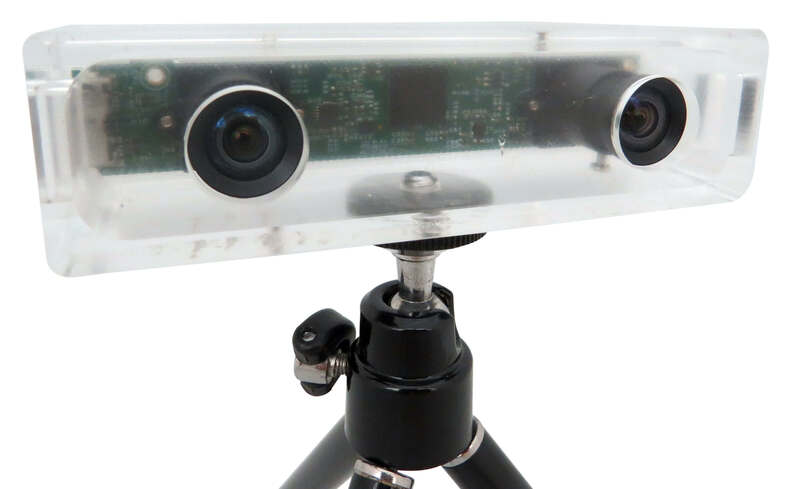 e-CAM30_HEXCUTX2 - Six Synchronized Full HD Camera for NVIDIA® Jetson Tegra X1/ Tegra X2, Uncompressed image streaming (Full HD) 1080p@30ps and 3.4 MP @ 30fps from all the six cameras simultaneously and also frame synchronized. e-con Systems Inc., NVIDIA's Preferred Partner, a leading embedded camera solution company specializing in the development of advanced camera solutions announces the launch of the much awaited e-CAM30_HEXCUTX2 - Multiple camera solution for NVIDIA® Jetson Tegra X1/X2 development kit . e-con Systems, Xilinx alliance program member, announces that See3CAM_CU30 is now part of Xilinx's reVISION™ stack. The Xilinx reVISION™ stack includes a broad range of development resources for platform, algorithm and application development. It also includes ZCU102 Evaluation Kit from Xilinx, See3CAM_CU30 camera from e-con Systems and other third parties. 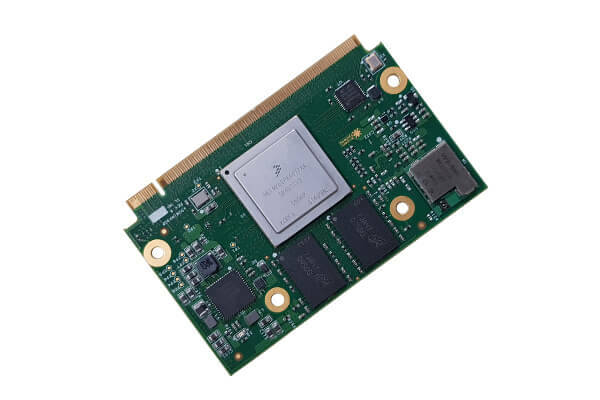 The ZCU102 Evaluation Kit features a Zynq UltraScale+™ MPSoC device with a quad-core ARM® Cortex-A53, dual-core Cortex-R5 real-time processors and supports USB 3.0 host port for customer working with wide range of imaging applications such as Automotive, Industrial, Video and Communications etc. Xilinx has showcased their reVISION algorithms capabilities by using the Dense Optical Flow application. For Dense Optical flow algorithm they need high performance data like 1920*1080 @ 60 FPS uncompressed. Considering the capability, Xilinx included e-con's flagship camera See3CAM_CU30 in their reVISION™ stack. See3CAM_CU30 is 3.4 MP low light USB 3.0 camera based on AR0330 CMOS image sensor from On semiconductor. Since it is an UVC compliant camera it doesn't require any special drivers to be installed on ZCU102 evaluation kit. It supports 1080p @ 60fps in uncompressed UYVY format and it has an integrated high-performance Image Signal Processor (ISP) that performs all the Auto functions (Auto White Balance, Auto Exposure control). The ISP and sensor settings have been fine tuned to generate best-in-class video in both uncompressed UYVY and Compressed MJPEG. "From a wide variety of cameras, customers get to pick & choose a suitable camera for their NVIDIA Jetson TX2 Application"
e-con Systems, NVIDIA's Preferred Partner is gearing up to create a new history by launching a bouquet of high performance cameras for the powerful NVIDIA Jetson TX2 developer kit. A Combination of power and performance takes e-con systems to the next generation of imaging solutions. For the past 14 years, e-con Systems has been working with diverse customers; helping them to ascertain which camera technology is best for their application. 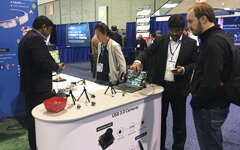 Having gained deep insight into most applications like Smart Surveillance, Drones, In-car Security, 4K Video, Parking lot management, etc., the partnership with NVIDIA allows us to take full advantage of Jetson TX2/TX1 developer kit and design unique cameras with features like Autofocus, Fixed focus, Low light, iHDR, 3A (Autofocus, Auto exposure, AWB), ROI Exposure, Pan tilt Digital Zoom, High frame rate, etc. for specific applications. e-con Systems has a variety of cameras to cater to the needs of customers who are working other applications like Artificial Intelligence, Agriculture, Medical, Traffic & Intelligent transportation system, Automated handling & Robotics, Virtual & Augmented reality, etc. Customers can now take advantage of the Android Marshmallow offerings like multi-window support, adoptable storage, inbuilt file manager, advanced security enhancements and many more. eSOMiMX6 is best suited for building portable data terminals, medical imaging devices, Remote Data Acquisition, industrial control etc. We are delighted to announce the launch of See3CAM_CU135, our best-in-class 13 MP custom lens fixed focus USB 3.0 camera with the S-mount (M12) lens holder that enables customers to choose a lens of their choice. See3CAM_CU135 - 4K Custom Lens USB 3.0 Camera is based on the 1/3.2-inch AR1335, a CMOS image sensor from ON Semiconductor® and a high-performance Image Signal Processor chip (ISP) that performs all the Auto functions (Auto White Balance, Auto Exposure control) in addition to complete image signal processing pipeline that provides best-in-class images and video and the MJPEG compression. See3CAM_CU135 features interlaced High Dynamic range (iHDR) and also superior low light sensitivity enabling this camera work in both extreme lighting conditions. The See3CAM_CU135 streams Ultra HD (3840 x 2160) at 30fps and 4K Cinema (4096 x 2196) @ 30fps over USB 3.0 in compressed MJPEG format. This See3CAM_CU135 streams FULL HD (1920 x 1080) at 60fps and HD (1280 x 720) at 60fps in both uncompressed (UYVY) and compressed MJPEG formats. e-con Systems launched the AR1335 based camera See3CAM_130 last year. Now it comes with Standard Mount (M12) Lens option as See3CAM_CU135. We are excited to share with you that we exhibited at ESC 2017 Boston, MA. 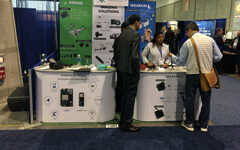 North America's Largest Embedded Systems Conference held at the Boston Convention & Exhibition Centre on 3-4 May, 2017. The show was a great success for e-con Systems, We had a lot of interested visitors to our booth. Below are some of the live demos which our experts had demonstrated. We would like to thank all visitors for visiting our booth! We look forward to get the same in the next year embedded system conference with lot of innovative products. We are happy to announce the launch of See3CAM_81, an 8 megapixel Autofocus USB 3.0 camera. See3CAM_81 is based on the 1/3.2-inch OV8865, an 8 MP CMOS image sensor from OmniVision. See3CAM_81 is a successor to e-con Systems' hugely successful 8MP autofocus USB 3.0 camera, See3CAM_80 based on OV8825. The See3CAM_81 streams uncompressed video 720p@60fps (HD), 1080p@30fps and 8 MP@ 11 fps in YUY2 formats over USB 3.0 interface. See3CAM_81 features high performance Image signal processor (ISP) that provides superior high and low-light images, making this camera ideal for customers designing kiosk, multimedia applications, high resolution OCR, barcode scanning applications and medical and scientific applications such as tissue vision, pathology examination and microscopic applications. e-con Systems announces the launch of e-CAM30_CUTX1, 3.4 Mega pixel 4 lane MIPI CSI-2 camera board for NVIDIA Jetson Tegra X1 Kit. e-CAM30_CUTX1 houses the e-CAM30_CUMI0330_MOD is a 3.4MP 4 lane MIPI CSI-2 camera board based on AR0330 1/3" Optical format AR0330 CMOS image sensor from ON Semiconductor® and an integrated Advanced Image Signal Processor(ISP) for NVIDIA® Jetson Tegra X1 development kit. e-CAM30_CUTX1 streams (Full HD) 1080p@30ps, HD (720p)@ 30fps and 3.4MP @30fps. 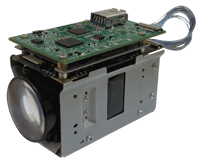 e-con Systems has pioneered in bringing out various cameras for NVIDIA Jetson kit. We have already launched few cameras for Jetson TK1 and Jetson TX1 and now we are happy to launch our e-CAM30_CUTX1 ready-to-deploy camera solutions for NVIDIA Tegra X1 platform for applications such as Building Drones, Autonomous Robotic Systems, Mobile Medical Imaging, Intelligent Video Analytics, Unmanned Aerial Vehicles etc. 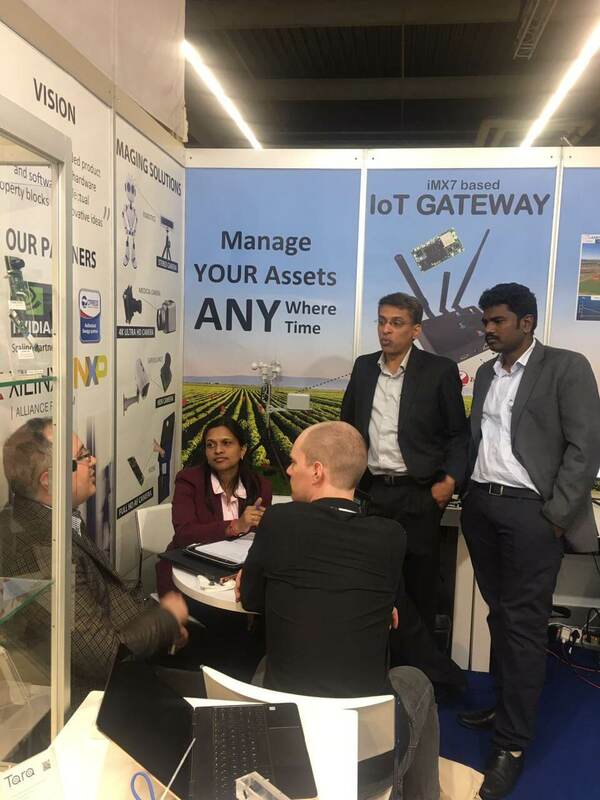 We exhibited at embedded world 2017, the largest embedded systems tradeshow in the world. 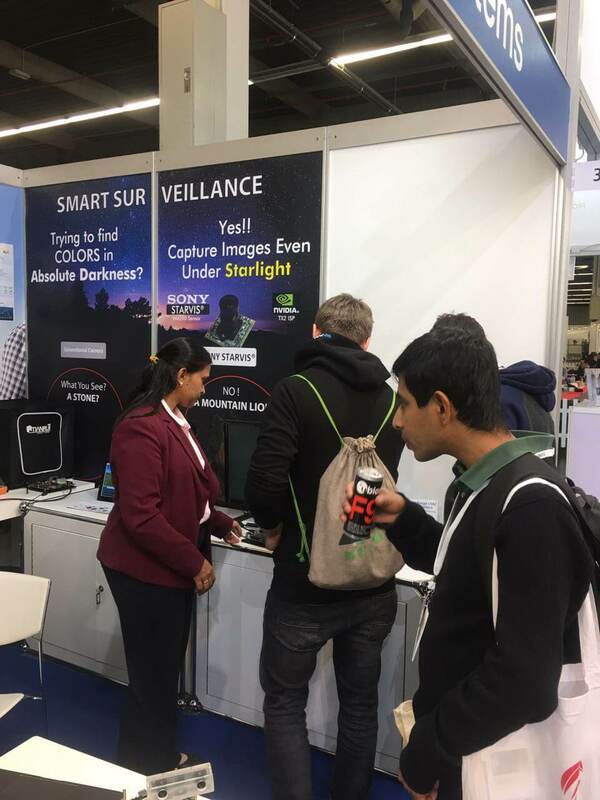 More than 1000's of exhibitors and over 30,000 visitors attended the expo that took place on 14th - 16th March in Nuremberg, Germany. The show was a great success for e-con Systems, We had a lot of interested visitors to our booth. Addition to that few visitors have got some consultations with our SOM and Camera experts. 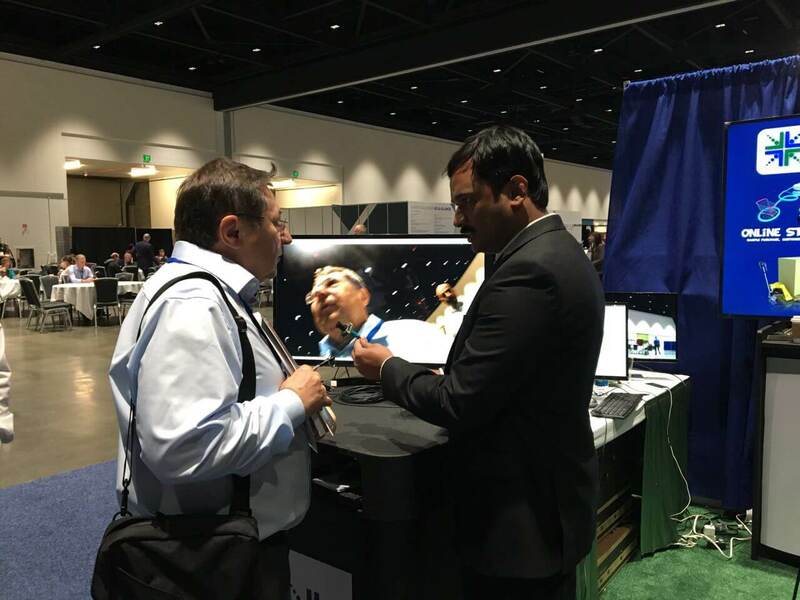 "We had an overwhelming response for our demos. Among them, there was a considerable excitement for our Six Camera image streaming on NVIDIA TX1 processor from our visitors and we are glad that we found many interested customers. 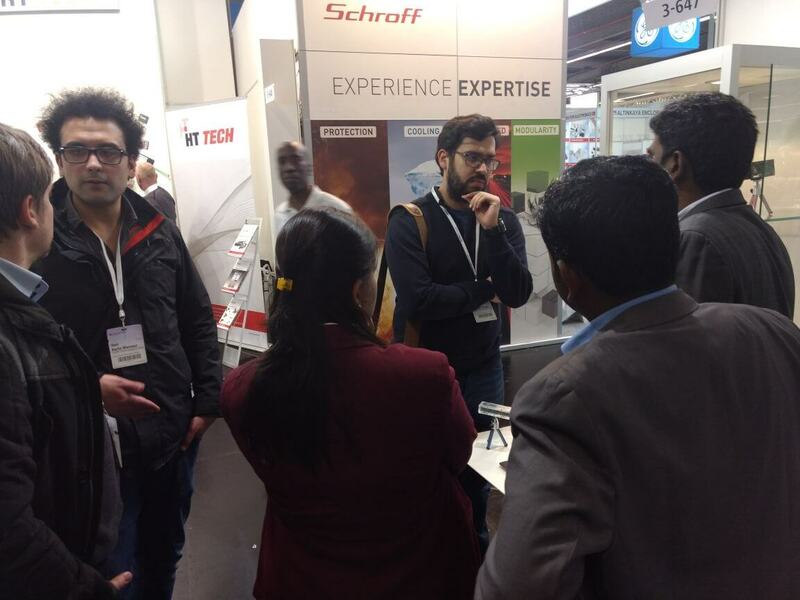 I would like to thank you all who visited us at the booth" Says Gomathi Sankar, Product Manager. We would like to thank all visitors for visiting our booth! We look forward to get the same in the next year embedded world conference with lot of innovative products. "See3CAM_30 based on AR0330 sensor from On Semiconductor™. Varioptic Liquid Lens Autofocus Camera. Superior low-light performance - pixel size of 2.2μm. Streams 1080p@60fps & 3MP@60fps"
e-con Systems launches See3CAM_30, an ultra-low light Autofocus USB 3.0 camera with liquid lens. See3CAM_30 is based on the 1/3-inch AR0330, a 3.4 megapixel image sensor from On Semiconductor. Having Varioptic liquid lens, this camera delivers fast, continuous and effective Autofocus and provides robust Autofocus solution as there is no mechanical movement. Liquid lens consumes very low power and extremely fast response time making the See3CAM_30 ideal for security/surveillance applications, Industrial cameras and barcode scanning applications. This OEM camera can capture images at 0.1Lux, almost near darkness. The See3CAM_30 is the first Liquid lens auto focus camera from e-con Systems' See3CAM family of USB3.0 Super Speed camera products. "The See3CAM_CU30 Camera with S-mount lens holder using AR0330 sensor is one of our flagship cameras claiming more number of Design Wins in lot of our customer products. We have been receiving enquiries from our customers to enable Autofocus functionality on the same camera from our customers. We are excited to launch the See3CAM_30 camera that further enriches our AR0330 camera with Autofocus functionality powered by Varioptic's Liquid Lens." said Ashok Babu, President of e-con Systems Inc.
For more information on the product, please see the 3.4 MP Low Light USB Camera Board with Liquid Lens. 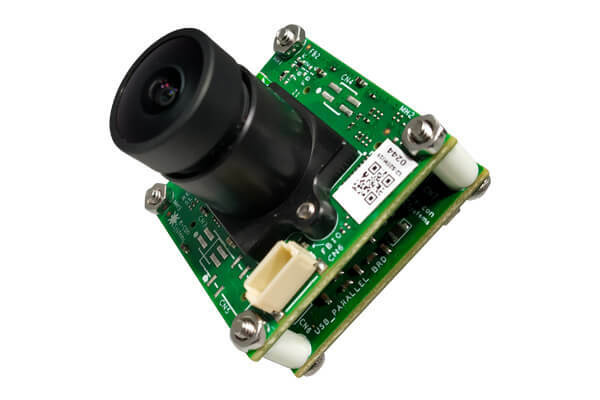 "e-CAM130_CUTX1 - 13MP Camera for NVIDIA® Jetson Tegra X1, Uncompressed image streaming (Full HD) 1080p@60ps and UltraHD @ 30fps, 1/2.3" Optical format AR1820HS Sensor." e-con Systems launch of e-CAM130_CUTX1, MIPI camera board for NVIDIA® Jetson Tegra X1 development kit - e-CAM130_CUTX1. e-CAM130_CUTX1 is a 13MP 4 lane MIPI CSI-2 camera board based on AR1820 CMOS Image sensor from ON Semiconductor® and an integrated Advanced Image Signal Processor(ISP) for NVIDIA® Jetson Tegra X1 development kit. The e-CAM130_CUTX1 streams 720p(HD) and 1080p(FullHD) @72fps, 4K or Ultra HD (3840 x 2160) @30fps and 13MP@ 20 fps in uncompressed YUV format. 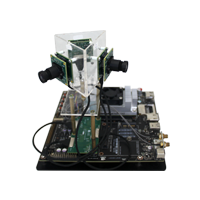 e-con Systems has pioneered in bringing out various cameras for NVIDIA Jetson kit. e-con Systems have already launched 13MP UltraHD camera, 4MP RGB-IR camera and 3.4MP low light sensitive camera boards for NVIDIA Jetson TK1. "Taking forward our camera solution leadership with NVIDIA Tegra K1, we are happy to launch our ready-to-deploy camera solutions for NVIDIA Tegra X1 platform. Our 13MP camera module with direct 4-lane MIPI CSI-2 interface to Tegra X1 is poised to become a de-facto camera solution for deep-learning applications such as smart parking solutions, smart surveillance, drones, smart baby-sitting etc.." said Ashok Babu, President of e-con Systems Inc.
For more information on the product, please see the Ultra HD 13MP Camera for NVIDIA® Tegra X1. e-con Systems announces the launch of eSOMiMX6-micro System On Module. This low power SOM is based on NXP/Freescale i.MX6 Quad/Dual ARM Cortex-A9 Processor running up to 800MHz. To cater to the customer's demand of a small SOM for building Handheld, Wearable, Medical Imaging devices, eSOMiMX6-micro is released with a compact form factor of 54mm x 20mm. Power consumption is as low as 10mA in suspend. "As a sequel to our hugely popular eSOMiMX6 System-on-Module, we are excited with the launch of eSOMiMX6-micro, a compact SOM measuring just 54mmx20mm targeting the unchartered territories of wearable devices. With the full-fledged Linux/Android support, the eSOMiMX6-micro measuring a shade above 1000sqmm, is an ideal SOM for the next generation of smart wearable devices. ", said Ashok Babu, President of e-con Systems. "The accompanying Meissa evaluation kit for eSOMiMX6-micro with all the major interfaces is 30% smaller than the credit card and customers can use this as a reference design to develop their space constraint products in a record short time." he added. 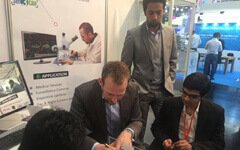 Customers willing to evaluate the eSOMiMX6-micro, can evaluate using the EVM, Meissa - eSOMiMX6-micro development kit from e-con Systems' Webstore. The development kit among other accessories also features a 13MP camera board, 5MP camera board and 3MP Low Light camera board. "See3CAM_130 - 4K Auto focus USB 3.0 Camera based on AR1335 CMOS sensor and ISP from OnSemi; Features i-HDR and superior low light sensitivity; Streams Ultra HD@30fps "
e-con Systems launch of See3CAM_130, a 4K Autofocus USB 3.0 Camera. See3CAM_130 is based on the 1/3.2-inch AR1335, a CMOS image sensor from OnSemi™. The See3CAM_130 streams Ultra HD (3840 x 2160) at 30fps and 4K Cinema (4096 x 2160) @ 30fps over USB 3.0 in compressed MJPEG format. This See3CAM_130 streams Full HD (1920x1080) at 60fps and HD (1280x720) at 60fps in both uncompressed (UYVY) and compressed MJPEG formats. See3CAM_130 is a small camera with a form factor of 80 x 50mm. e-con Systems had earlier launched its hugely successful USB Autofocus camera e-CAM51_USB 4 years ago and then followed this up with 8MP USB AF See3CAM_80. The See3CAM_CU130 is a natural progression of its USB Auto Focus cameras. 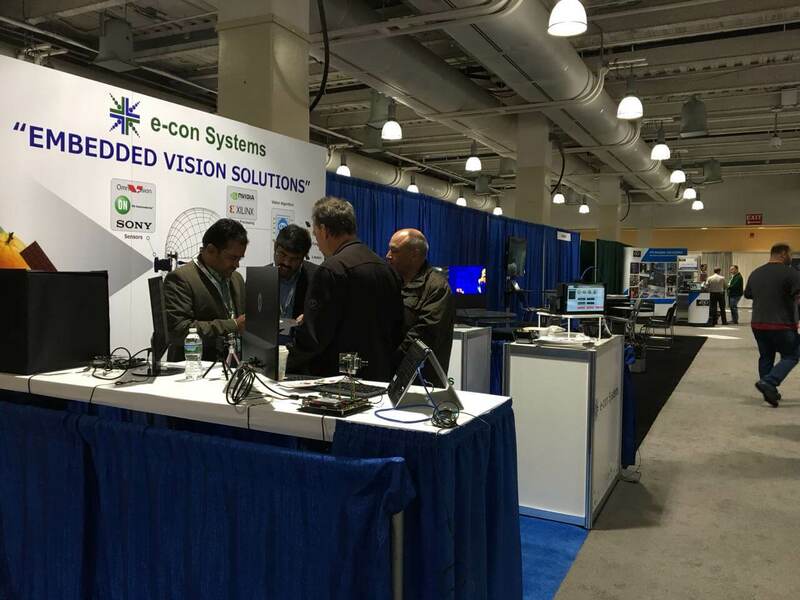 Ashok Babu, President of e-con Systems Inc.
For more information on the product, please see the 4K Autofocus USB 3.0 Camera . e-con Systems launches USB 3.0 Cameras with the latest Type C interface. Now, See3CAM_CU30 - 3.4MP Low Light USB 3.0 camera and See3CAM_CU130 - 13MP Ultra HD USB 3.0 Camera comes with the Type C connector making these cameras more compact and sturdier. e-con Systems will be providing USB 3.0 cables with Type A connector on the PC side and Type C on the camera side. For more details read our blog on USB 3.0 Cameras with Type C vs. micro Type B.
e-con Systems' Ascella - Cypress® CX3™ THine® ISP RDK, now supports Linux operation system. e-con provides a sample V4L2 application, called QtCAM, along with Ascella. QtCAM is a V4L2 video viewer and capture software for the Linux UVC driver customized to demonstrate the features of Ascella. We are glad to announce that NVIDIA has included e-con Systems to it's Embedded Ecosystem. This official recognition comes as a major boost to our product building activities in the embedded domain esp. in areas pertaining to Jetson & Tegra K1. e-con Sytems had earlier released it's system on module eSOMTK1 based on NVIDIA Tegra K1 processor. Propus is the development board based on eSOMTK1. e-con Systems had also pioneered in bringing out various cameras for NVIDIA Jetson kit. e-CAM40_CUTK1 - a 4 MP 4-lane MIPI CSI-2 Camera solution for NVIDIA Tegra K1 CPU Jetson Development Kit) based on the OV4682 RGB-IR pixel format CMOS image sensor. 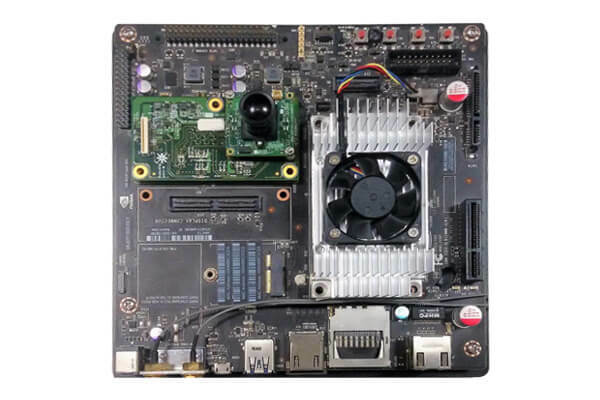 Jetson TK1 Android BSP and Support - the Android Lollipop BSP for Jetson TK1 that combines the raw power of the processor platform with the versatility and User Experience of the latest Android Lollipop. Being listed in NVIDIA's website has given us the impetus and energy to work more and deliver path breaking embedded products. e-con Systems announces the launch of e-CAM30_CUTK1, 3.4 Mega pixel 4 lane MIPI CSI-2 camera board for NVIDIA Jetson Tegra K1 Kit. The e-CAM30_CUTK1 houses the e-CAM30_CUMI0330_MOD - a 3.4 MP camera module based on Aptina / ON Semiconductor AR0330 low light sensitive sensor and interfaces with the NVIDIA Jetson Tegra K1 Kit over 4-lane MIPI CSI-2 interface. This e-CAM30_CUTK1 boasts of excellent low light sensitivity (0.1 lux). e-CAM30_CUTK1 can stream Full HD (1920x1080) and HD (1280x720) at 30fps in both uncompressed and compressed MJPEG formats. 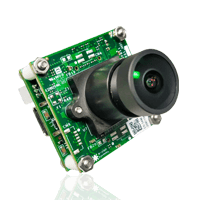 e-con Systems has developed the Linux camera driver for this MIPI CSI-2 camera and the camera driver is compatible with standard V4L2 APIs. Together with the sample viewer application, the e-CAM30_CUTK1 forms a complete 4 lane MIPI CSI-2 camera solution comprising 3.4MP MIPI CSI-2 camera module, the compatible Linux driver and the sample viewer application running on Ubuntu distribution. e-con Systems' See3CAM_CU30, 3.4 MP Custom Lens USB 3.0 UVC Camera is now supported for Linux operating System. e-con provides a sample V4L2 application, called QtCam, along with the See3CAM_CU30 camera. Qtcam is a V4L2 video viewer and capture software for the Linux UVC driver customized to demonstrate the features of See3CAM_CU30. 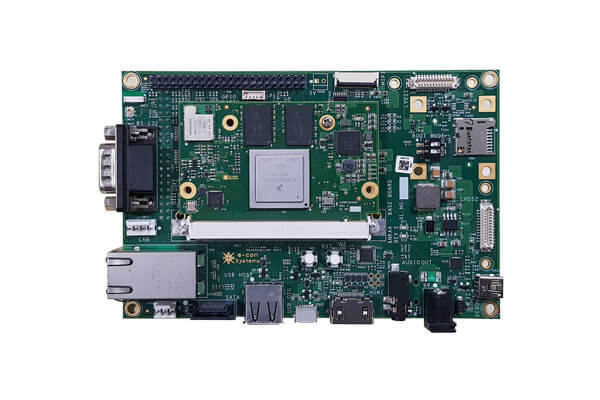 e-con Systems announces the launch of ACC-TK1-CUMI0330CAM, 3.4 Mega pixel 4 lane MIPI CSI-2 camera board for Propus, our NVIDIA Tegra K1 Development Board. The ACC-TK1-CUMI0330CAM houses the e-CAM30_CUMI0330_MOD - a 3.4 MP camera module based on Aptina / ON Semiconductor AR0330 low light sensitive sensor and interfaces with the Propus' TK1 processor over 4-lane MIPI CSI-2 interface. This ACC-TK1-CUMI0330CAM boasts of excellent low light sensitivity (0.1 lux). 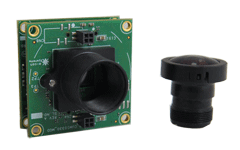 e-con Systems has developed the Linux camera driver for this MIPI CSI-2 camera and the camera driver is compatible with standard V4L2 APIs. 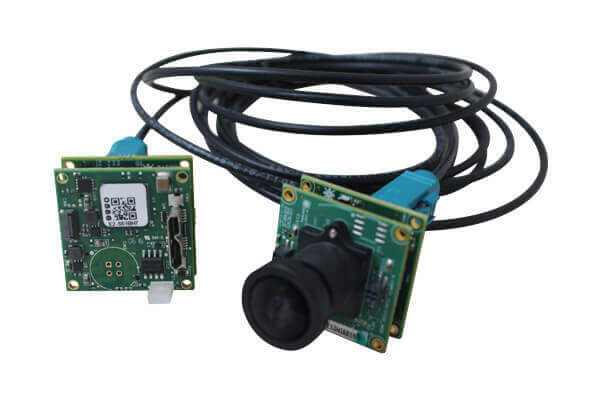 Together with the sample viewer application, the ACC-TK1-CUMI0330CAM forms a complete 4 lane MIPI CSI-2 camera solution comprising 3.4MP MIPI CSI-2 camera module, the compatible Linux driver and the sample viewer application running on Ubuntu distribution. e-con Systems announces the launch of ACC-iMX6-CUMI0330CAM, 3.4 Mega pixel 4 lane MIPI CSI-2 camera board for Ankaa, our NXP/Freescale iMX6 Development Board. The ACC-iMX6-CUMI0330CAM houses the e-CAM30_CUMI0330_MOD - a 3.4 MP camera module based on Aptina / ON Semiconductor AR0330 low light sensitive sensor and interfaces with the Ankaa's i.MX6 processor over 4-lane MIPI CSI-2 interface. This ACC-iMX6-CUMI0330CAM boasts of excellent low light sensitivity (0.1 lux). 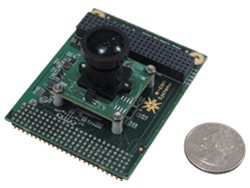 e-con Systems has developed the Linux camera driver for this MIPI CSI-2 camera and the camera driver is compatible with standard V4L2 APIs. Together with the sample viewer application, the ACC-iMX6-CUMI0330CAM forms a complete 4 lane MIPI CSI-2 camera solution comprising 3.4MP MIPI CSI-2 camera module, the compatible Linux driver and the sample viewer application running on Ubuntu distribution. "Tara - USB 3.0 Stereo vision camera based on MT9V024 Global Shutter CMOS sensor from ON Semiconductor; Supports Stereo WVGA(1504x480) at 60 fps over USB 3.0 in uncompressed format." e-con Systems announced the launch of Tara, a USB3.0 Stereo vision camera. Tara is based on the 1/3-inch MT9V024, a WVGA Global shutter monochrome CMOS image sensor from ON SemiconductorZ®. The Tara supports Stereo WVGA (1504x480) at 60fps over USB 3.0 in uncompressed format. This Stereo vision camera provides synchronized sensor frames to the host machine over USB 3.0 interface. Tara is bundled with a Software Development Kit (SDK) with full source code for application development on top of OpenCV, enabling customers to develop their own Stereo Vision Camera based applications. e-con Systems also provides sample applications with source code, demonstrating synchronous stereo image capture, depth measurement , disparity map and point cloud. In addition to this, customers can also develop their Stereo Vision Camera algorithms on top of Tara SDK or integrate Tara directly in their product design. For more information on the product, please see the USB 3.0 Stereo vision Camera. June 28, 2016 – eSOMTK1 now runs Android Lollipop (5.0.1) ! We are excited to announce the release of Android Lollipop for eSOMTK1. All features including Dual 4-lane camera support, 3D Gyroscope, 3D acceleration are added in this Android version. Android Lollipop gives a rich user experience to eSOMTK1 Development kit propus. Further it supports WiFi and Bluetooth. 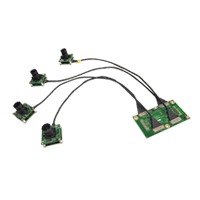 Tegra K1 Module is best suited for applications across a number of domains ranging from Automotive, Handheld, Robotics, Retail, Medical, etc. e-con Systems announces that See3CAM_CU30, 3.4 MP Custom Lens USB 3.0 UVC Camera, can now stream 720p & 1080p @60fps. The initial launch version of See3CAM_CU30 supported 720p & 1080p @30fps. Earlier only MIPI CSI-2 2 lane was supported and the current version of See3CAM_CU30 supports MIPI CSI-2 4 lane. The changes include both hardware as well as firmware. Customers who are willing to evaluate 1080p @60fps can order now through our online web store. e-con Systems announces the launch of eSOMTK1 Computer on module. The eSOMTK1 is based on NVIDIA Tegra® K1 processor. e-con Systems already has dozens of customers in mass production using its computer on modules such as the eSOMiMX6, eSOM3730 and eSOM270. The eSOMTK1 exposes the complete range of interfaces provided by the Tegra K1 processor through its connectors, so that the customers can get the complete functionality without going through the complex design requirements of the processor sub system including memory and power manager. 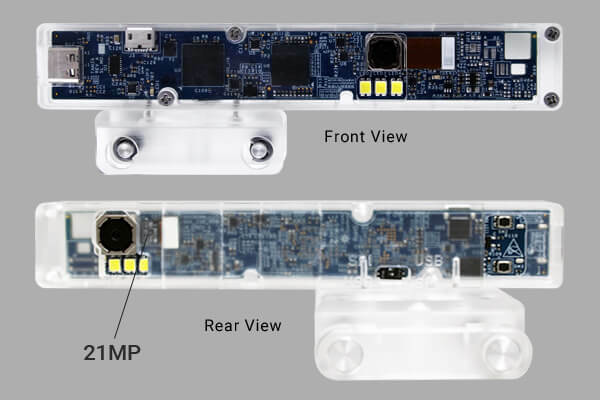 eSOMTK1 has three camera interfaces provided with one 1-lane MIPI CSI-2 and two 4-lane MIPI CSI-2. The 4 lane interface allows 4K streaming at 30fps. In addition, the eSOMTK1 offers a wide range of interfaces from simple GPIOs, industry standard I2C, SPI, UART ,PCIe, SATA and USB 3.0. 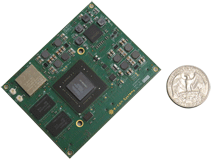 Other than exposing the native features of the Tegra K1 processor, the eSOMTK1 includes an Inertial Measurement Unit (IMU) for 3D gyroscope & 3D acceleration. Further, the eSOMTK1 has an inbuilt Wi-Fi and Bluetooth (BLE) . "Many of our customers who have been buying cameras from us, have been asking us for a Video processing system which can do very fast and accurate image analysis. The eSOMTK1 featuring the NVIDIA TK1 processor, fits the bill nicely and has everything an algorithm developer would want. 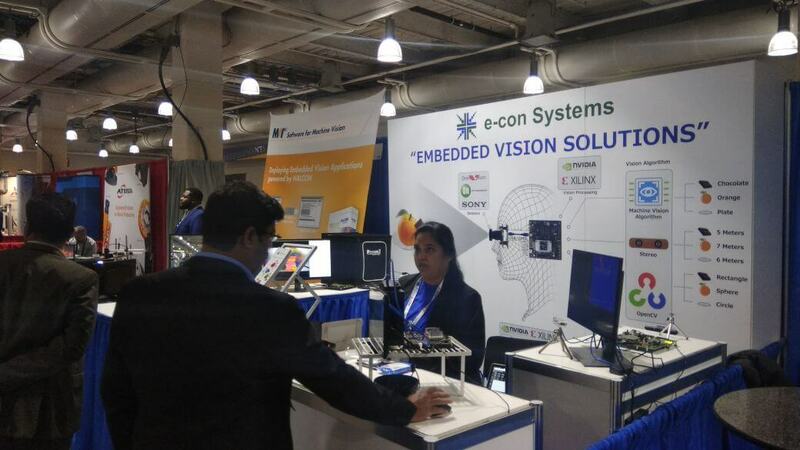 ", said Ashok Babu, President of e-con Systems Inc.
e-con Systems announces the launch of See3CAM_CU30, an ultra-low light camera with a USB 3.0 UVC interface based on the 1/3-inch AR0330 a 3.4 megapixel image sensor from ON Semiconductor®. 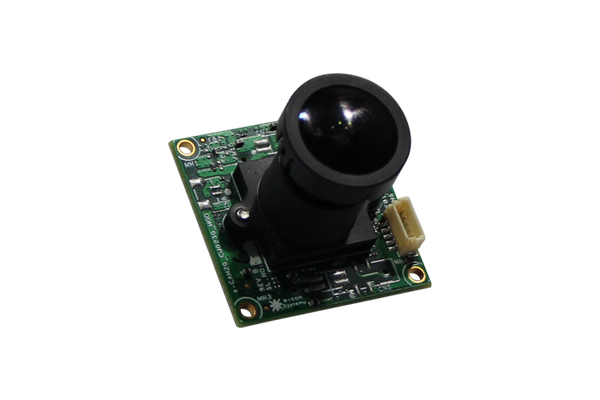 This OEM camera can capture images at 0.1Lux, ideal for low light surveillance applications. The See3CAM_CU30 streams video at 30 frames per second (FPS) in 720p high definition (HD) and 1080p Full HD at 60fps in both uncompressed (UYVY) and compressed (MJPEG) formats. In addition to high-end digital video performance, the See3CAM_CU30 makes it possible to capture a 3.4MP still image due to its unique multi-aspect ratio format. At its full resolution of 3.4 megapixels (2304x1536), the See3CAM_CU30 can stream at 30fps over USB 3.0 in MJPEG format and 25fps in YUV422 format. On the optic side, See3CAM_CU30 features the S-mount (M12) lens holder, allowing customers to use lenses, based on their application requirements. "With the excellent image quality, the See3CAM_CU30 is an ideal camera for low-light applications such as home-surveillance, in-car security cameras, webcams, day-night cameras etc. The high-performance on-board ISP provides not just excellent image quality, but also allows customers to adjust all the camera parameters to meet their application requirements" said Ashok Babu, President of e-con Systems Inc. The See3CAM_CU30 streaming 720p and 1080p video at 30 fps is currently available for evaluation. Customers interested in evaluating the See3CAM_CU30 can order samples from e-con Systems' online webstore with option to buy with or without the lens. The See3CAM_CU30 streaming 720p@60fps and 1080p@60fps shall be available for purchase in 8 weeks. For more information, please write to sales@e-consystems.com.